Hello fans! 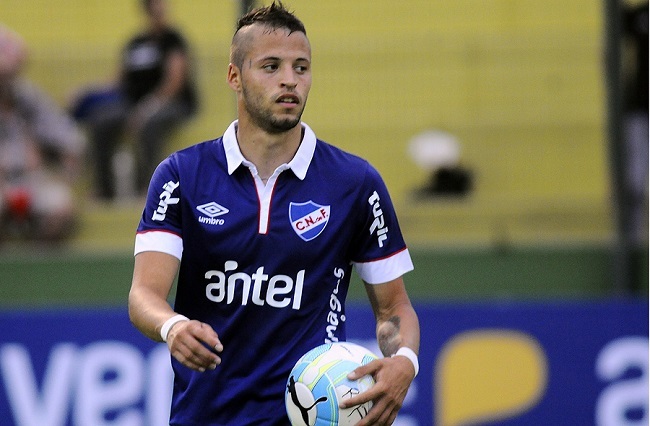 El Bolso is back once again as Nacional takes another shot at the elusive Libertadores Cup. Let’s get to it! The first half of the year was bittersweet for our Tricolores. They had a great season under rookie coach Gustavo Munúa (remember, he was the team’s goalie the previous season and had never coached at any level), leading the league for most of the Apertura championship. Unfortunately, a bad two-week spell in which they won 2 out of 12 possible points opened the door for the traditional rival to sneak away with the title, besting Nacional by one measly point. That hurt. Still, the Tricolores played inspired football for most of the season, proving the decision to hire Munúa was not as insane as many thought. On the international front, it was yet another disappointment for Nacional fans, as the team bowed out in the second round of the Copa Sudamericana (they had a bye in the first round, too). If you’re looking for silver linings, they did manage a 1-0 win on the road against Independiente Santa Fe after losing 2-0 at home, and the Colombian team did manage to eventually win the whole damn tournament. Still, I think we expected more from this team given the level of talent they brought to the table. 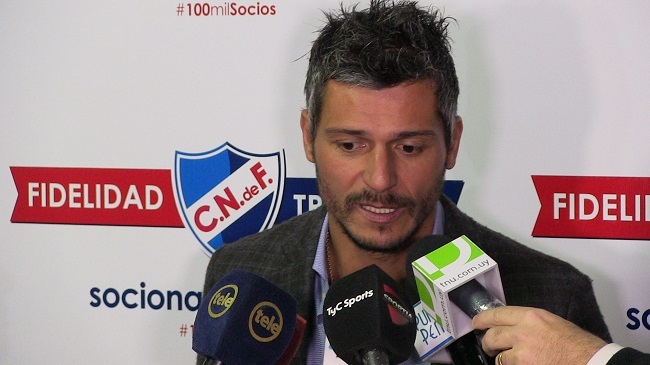 As the second half of the season got underway, Nacional’s front office worked hard to improve the team. They almost managed to get through the offseason without suffering any meaningful losses from the incumbent roster, and only a last-minute push by Argentinian power River Plate changed that, although they did it in a big way: River coach Marcelo Gallardo (who knows all about winning a title with Nacional on the field, then coming back the next season to win again as coach) convinced the Tricolores’ biggest star, Iván Alonso. Ivan the Terrible (though not as terrible as that nickname) is gone, and Nacional have to figure out who’s going to score all the big goals, although so far it looks like they’ve found the guy to do it. As far as new faces, the defense got a pretty big boost with the additions of Erick Cabaco (a starter for the U20 national team) and prodigal son Mauricio Victorino. 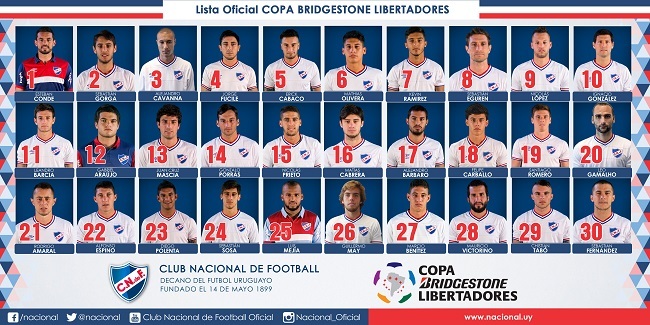 Nacional now has five 2010 World Cup team alumni on its roster: Jorge Fucile, Sebastián Eguren, Ignacio González, Sebastián Fernández, and Victorino (and barely missed the sixth one when Sebastián “El Loco” Abreu left). More importantly, they have live bodies to man the second central defender spot next to new captain Diego Polenta. The midfield stayed the same, which is good because Gonzalo Porras and Santiago Romero have been absolute monsters over the past18 months. The offense, however, got a big makeover with the addition of Kevin Ramírez and the returns of Nicolás López and Christian Tabó. Ramírez played for Montevideo Wanderers in the Apertura and matched Alonso’s 8 goals (good for third in the league); Tabó showed promise while playing limited minutes in last season’s Clausura, and is back after 6 months in the Mexican top division. The real jewel here, though, is López. “El Diente” (the Tooth, because, well, just go look at a picture) was one of the team’s prized farm system products a few years ago. He came up during the 2011-12 season as a 17 year old and promptly scored 3 goals in his first 6 games, then was basically kidnapped by his agent and sold to the Italian League. He’s been playing in the top flight ever since, but fell out of favor at the end of last season and was shipped off on loan to Spanish side Granada (after weeks of rumors that he would end up back at Nacional. 6 months later he really did return, and quickly became the go to guy up front after Alonso ran off. El Diente is a fast runner with a quick first touch and an instinct for finding open spaces and putting the ball in the net, and he’s only 23 years old. Let’s not forget that only 3 years ago he was a penalty shootout away from carrying Uruguay’s U20 national team to a World Cup title. Overall, the Tricolores kept their core nearly intact and significantly improved both defense and offense to go along with their beast mode midfield. Can this be the year when they once again become relevant internationally? 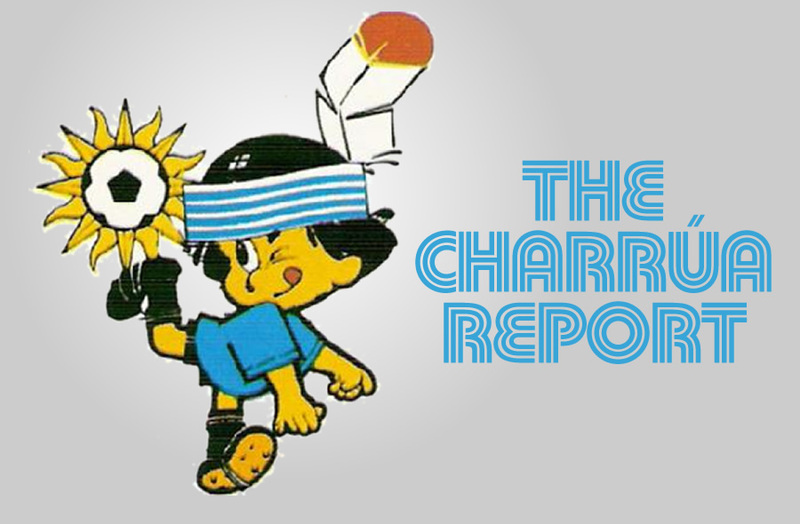 The local season could not have started any better for Nacional: they beat Villa Teresa 3-0 in the first round, and Juan Ramón Carrasco’s River Plate (no, not that one) found itself on the wrong end of that same score a week later. In the third round thigns got a little hairier, but the Tricolores prevailed once again, beating Wanderers 2-1. Heading into the first Libertadores match, Nacional shared the lead in the local tournament with Peñarol with a perfect record, having scored 8 goals and received only 2. As far as who will score all the goals Alonso wasn’t scoring, I think we have our answer: El Diente has been magnificent so far, scoring single goals in weeks 1 and 3 to go with a hat trick against River Plate (no, not… er, you get the idea). Would the Tricolores be able to carry that success across the River Plate (look, I’m not gonna say it again) and into Rosario Central’s home field? Well they almost did, and it took a herculean effort from Wilmar Roldán to stop them. What position does Colombian national Roldán play for Rosario you ask? He was the guy who allowed unrelenting fouling by the Argentinians all game long, and when that proved insufficient, called a non-existent last-minute penalty to ensure the locals wouldn’t come away from this one empty-handed. Gee, a Colombian referee shilling for Argentina? Color me shocked. Anyway, Nacional took the game right to the home team, proving to be the better side throughout, and finally took the lead in the 56th minute on some great finishing by, oh wow, you’re not gonna believe this, El Diente López. He’s now scored 6 of Nacional’s 9 official goals this semester, and could have added a second a few minutes later but flubbed the finish. Still, it looked like Nacional would go home with a huge road win to start off the tournament (thanks to goal-line saves from Polenta and Alfonso Espino and some great work from keeper Esteban Conde), but as the game was drawing to a close Wilmer Valderrama stepped in and called an imaginary foul on Victorino to even the final score at 1-1. Hope you can sleep at night, Fez. This was a huge missed opportunity for Nacional, albeit one not of their own making. Road wins are huge in the Libertadores, and even though a tie is a good result, and the team showed that it has the talent to compete at this level, I’d feel much better if they’d gotten the 3 points in the bank. Worse still, they’ll face their next game (at home against the Uruguayan River Plate) without their defensive acquisitions: Victorino was sent off for protesting the penalty, while Cabaco was red-carded for insulting the linesman from the bench right after López’s goal (what the hell he was protesting is beyond me). We’ll see if the boys can continue their positive result streak then.